Marvel Comics announces a new one-shot for July, Wolverine Vs Blade Special #1. The book is written by Marc Guggenheim, who’s no stranger to writing battle royals. “This is a book that’s been — not kidding — ten years in the making. I couldn’t possibly be more excited for it to finally see publication. I think it’s worth the wait,” said Guggenheim to Monkeys Fighting Robots. Dave Wilkins is the artist on the book, with a variant cover by Matteo Scalera. Wilkins has mainly been a cover artist to date, but Wolverine Vs Blade Special #1 looks to be his breakout comic. Guggenheim admitted on Twitter he is very excited for Wilkins’ amazing art. 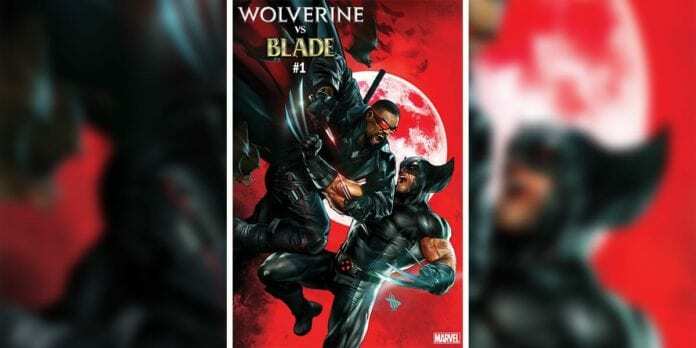 Guggenheim has previously written both Wolverine and Blade individually, so it will be interesting to see how He brings that knowledge and experience to a “versus” story. His writing credits span comics, novels, film, TV, and even video games, and he’s also a co-developer of the DC Comics shows Arrow and Legends of Tomorrow. Two of the deadliest hunters ever to have stalked the night face off! Wolverine vs. Blade — ’nuff said! It’s worth noting that Wolverine is in his X-Force costume on this cover, raising questions as to when this story takes place. Ol’ Logan was just recently brought back to life after a few years, while Blade has joined the Avengers. 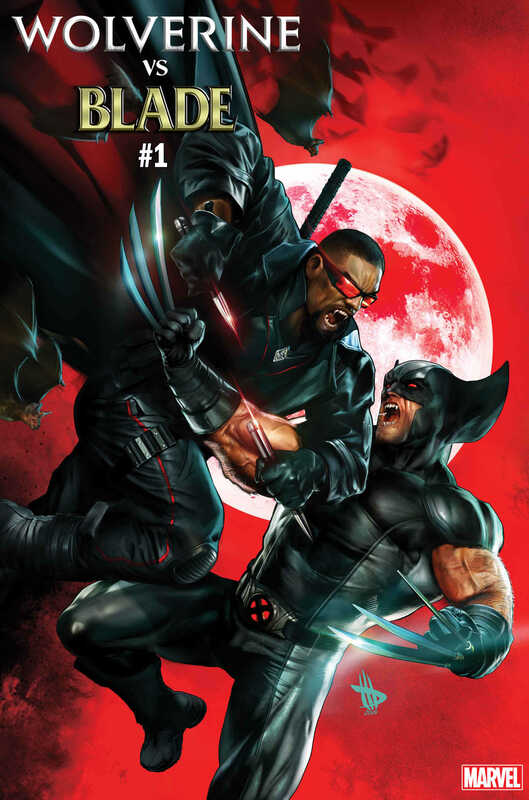 Are you excited for Wolverine Vs Blade Special #1? Comment below with your thoughts.